Click here to go to the Leeds City Council Secondary School Admissions website. Cockburn School is an academy converter with partner primary schools. It is part of The Learning Trust (South Leeds) and is a Co-operative Trust. The Governing Body will act as the Admission Authority for the school as part of the coordinated scheme with Leeds Education Authority. Following due consultation in accordance with the national School Admissions Code the Governing Body has agreed the following Admissions Policy for the academic year 2019-20. Parents and carers of children in Year 6 must apply for a place in the school using the Common Preference Form which must be completed and returned as specified on the form. Alternatively, parents and carers may apply directly to Leeds Education Authority online. Only under exceptional circumstances will late applications be accepted – until 1st December. Applications received after this date will only be considered after those applications which have been submitted on time. Parents and carers living within the boundaries of different education authorities may still choose Cockburn School as a preferred secondary school but must complete the preference form provided by their Local Authority which will then pass on the information to Leeds Education Authority. There will be 240 places available for Year 7 in September 2019. This year, in line with our Specialist Status in the Performing Arts, we will be taking 10% of our new Year 7 after an audition process for Year 6 pupils who are talented and enthusiastic about Drama, Dance and Music. Click here to find out more. Children with a statement of special educational needs will be admitted to the school named on their statement. Children who show a particular aptitude (ie: potential) for one or more of the Performing Arts – music, dance and drama (up to 10% of the intake number by audition). In accordance with the coordinated Admissions Policy on 1st March Leeds Children’s Services will make the formal offer of a place to parents and carers on behalf of the Governing Body of the school. Parents and carers must contact the Admissions Team to confirm acceptance of the offered place by the published date. This will in no way affect the rights of parents and carers to appeal for a place at another school. Parents and carers who want to appeal against the governors’ decision not to offer their child a place at the school must appeal directly to the authority. Appeals should be addressed in writing to the authority within 20 days of receiving the decision letter from Leeds Children’s Services. The envelope should be clearly marked ‘Admission Appeal’. The appeal will be heard by an independent appeals panel. Parents and carers will receive notification of the date and time of their appeal hearing, which they can attend to explain their case. If they wish, parents and carers may be accompanied by an adviser or a friend. Following the appeal the Clerk to the Appeals Panel will write to parents and carers with the decision. Unsuccessful applicants will have the opportunity to ask for their child’s name to be added to the waiting list which will be compiled in accordance with the tie break arrangements. Any places which become available will be filled from the waiting list. Criteria for updating and applying the waiting list will be as outlined by Leeds Children’s Services in their booklet ‘Starting Secondary School in Leeds – a guide for parents and carers 2019-2020’. If a child has been placed on the waiting list, parents and carers will be informed in March 2018 and asked to confirm that they wish to leave their child’s name on the list, which will be retained until the end of the academic year 2019-20. Children who have been adopted from local authority care, children with a residency order and those with special guardianship immediately following being Looked After will all be included within the higher priority for looked-after children (Priority 1a). Applications in this category must be supported by a statement in writing from a doctor or another relevant professional. This is necessary because you will be asking the authority to assess your child as having a stronger case than other children. Each case will be considered on its merits in consultation with the school concerned. To receive this assistance you must contact the SEN Assessment and Provision Service on 0113 3951100. For these purposes, brothers and sisters must be living at the same address as your child. Sibling refers to a brother or sister, half brother or sister, adopted brother or sister, step brother or sister, foster brother or sister. The definition does not include cousins or other family members sharing a house. We use a national computer system to run our school admissions system. As part of this system there is a programme that measures the ‘straight-line’ distance from the centre of the main school building to your home address. The point we measure to at your home address is determined by the Royal Mail Postcode Address File. This information provides us with coordinates for every dwelling. If we are not able to match your address with the Postcode Address File then we will use the centre of your dwelling. In the unlikely event there are insufficient places for two (or more) students living in the same building (e.g. flats) or otherwise equidistant from the school, then any final place will be allocated by the drawing of lots. If the school has to move to a temporary site for any reason, such as the building being damaged by fire, we will base our distance measurements on the school’s permanent site. For admission purposes, the home address is where the child usually lives with their parent or carer. You must not give the address of a child-minder or relative. We will investigate any queries about addresses and, depending upon what we find, we may withdraw the offer of a place for your child. When we make an offer, we assume your address will be the same in the following September as we have on record. If you plan to move house, you must still give your current address. If you move house after the deadline of 31 October 2019 for secondary places, you must tell us your new address as this may affect the offer of a place at Cockburn School. 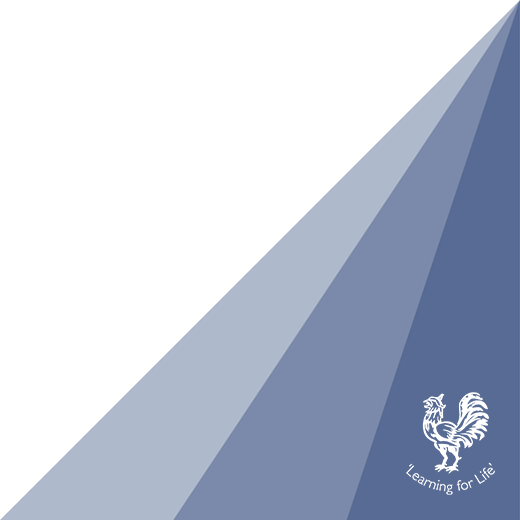 All applications outside the normal admission round should be made on the Leeds In-year Common Preference Form and you should return the form directly to Cockburn School. If the school is full you will be offered a right of appeal. Where an appeal is successful and no house move has taken place you will only be offered a place to start at the beginning of the next term. Waiting lists will be held in each year group for applications outside the normal admission round. As part of the coordinated admission arrangements with Leeds Children’s Services the school may accept hard-to-place students onto the school roll from time to time in accordance with the In-Year Fair Access agreement. If the Governors have not been able to meet your preference for a place at this academy for Year 7 September 2018, you can appeal against the decision to an independent appeals panel. The Admissions Team, Floor 10 West, 110 Merrion Centre, Leeds LS2 8DT. Appeals submitted by this date will be heard within 40 school days. Appeals submitted after these dates will be heard within 40 school days from the date when the appeal is received by the Clerk where possible this may not be before the end of the academic year. You will receive at least 10 school days notice of your appeal hearing. The Governance Services Section of Leeds City Council are administering the appeals on our behalf. You must ensure any additional evidence you wish to submit in support of your appeal is received by the Governance Services Section, 4th Floor West Civic Hall Leeds LS1 1UR at least four working days before your appeal. Appeals against a decision in any other year groups will be heard within 30 school days of the appeal being received by the Clerk. Following the hearing, decision letters will be sent within five school days of the hearing. School days are term time only and do not include school holidays. If an appeal is submitted in the holidays the school days deadline will not start until the beginning of the next term e.g. an appeal received in July after schools have closed will not be heard until the new academic term, ‘school days’ will start from when the school re-opens for the academic year 2018. The admissions consultation process has been finalised for our admissions policy 2020/21. After a successful and informative consultation process the school’s Governing Body determined the schools policy for 2020/21 at their full Governing Body meeting on the 31st January 2019. A copy of the determined policy has subsequently been sent to the Local Authority. Thanks to all those who contributed to the consultation.